Work together with GTP+ to decrease the prejudice faced by people living with HIV/AIDS while increasing the number of meals sold by the Solidary Kitchen. The organisation has been technically and politically involved in many important decisions for the public living with HIV and AIDS, like the fight to ensure their rights and to guarantee the free access to the necessary antiretroviral drugs. 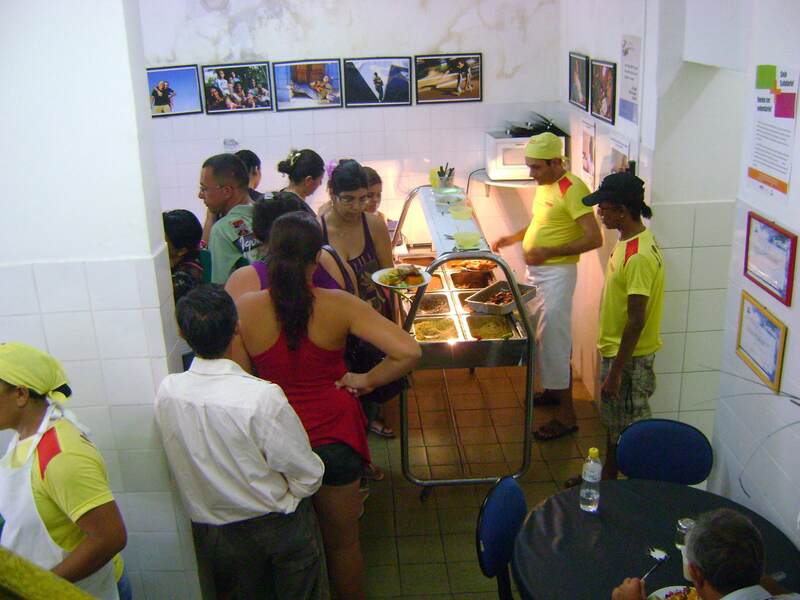 One of the projects the institution has is the “Cozinha Solidária” (Solidary Kitchen), which helps them pay their monthly bills, such as rent, energy, water, as well as to help the NGO to educate people eating at the restaurant about nutrition and also to break prejudice. The cooks at the Solidary Kitchen are all HIV positive. This is strategically important as it not only is a way that GTP+ can provide job opportunities for people who would normally be out of work due to their HIV status, but it also helps educate the general population that you can’t get HIV through the transmission of food. The Solidary Kitchen is funded, overall, by donations of food and by selling the meals they cook to the public in general, and to other NGOs that order from them. The lunches serve many people from the local areas that have HIV or AIDS as well as people working and living in the neighbourhood. With great reception, the amount of NGOs ordering meals to their events from the Solidarity Kitchen is growing – they cook an average of 3 events every month. With this TIE placement, the institution hopes to increase the number of clients, both for lunch and breakfast – positively leading to full capacity of their restaurant. Also, with the increase of people eating at Solidary Kitchen, GTP+ will gain even more visibility and possibly attract new donors and funders, contributing to the political sustainability of the organization and creating the opportunity to buy new equipment for the Kitchen and to refurbish their physical structure.